Routines save my sanity! Not to mention they empower your students. When your students have an understanding of the expectations and clear routines they need you less! This frees you up to do the fun stuff, the teaching, the in depth conversations and explorations. Of course the ideal time to introduce your basic routines is during the first few months of school. We all know that setting up, modeling, training and checking for understanding of procedures is fundamental to the success of your classroom. However, I have found not only do we hit points in the year that we clearly need some refreshers, I occasionally have new ideas and routines I want to add or change. I am always on the look out for ways I could do things better. Yep, I sing it every single day. No, I don't have a beautiful voice, but thankfully 2nd graders don't seem to care. 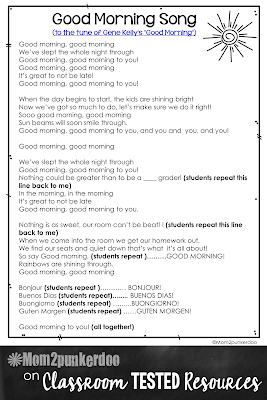 Years ago I changed up the words to "Good Morning, Good Morning" from Singing In the Rain. 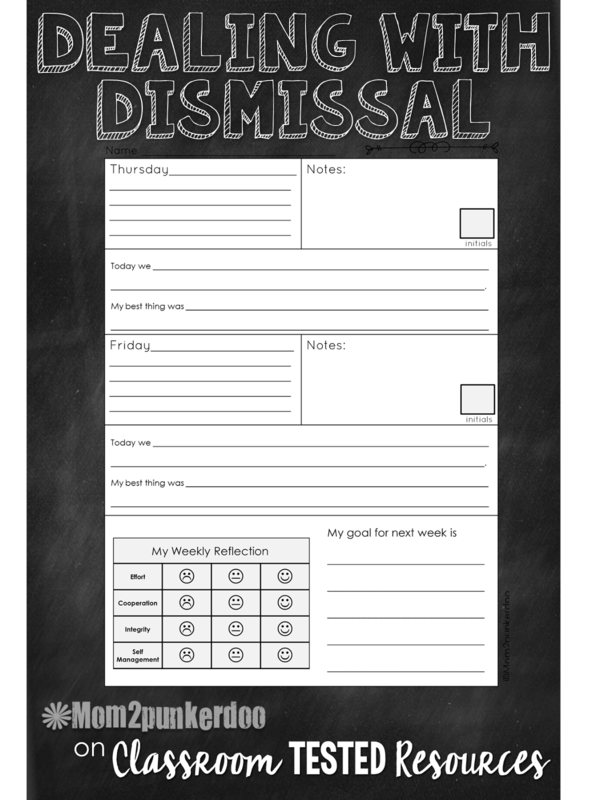 You can download a copy of my version here and tweak for your classroom if you like. Here is how it works, kids come in and start putting their things away, they greet one another, and begin our calendar work (another routine). At some point I start singing. 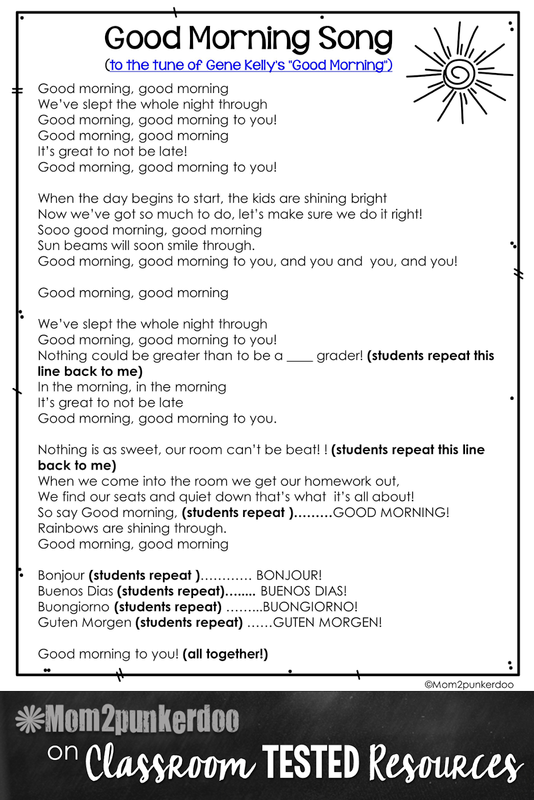 My students know that when I finish the song they are expected to be in their seats, with their supplies, ready to begin the day. As soon as I finish the song we are off and running. No need to get everyone's attention, no waiting for anyone to get ready. They know what they expectations are for when I am done singing and it helps that the song is long enough that if they were straggling they have time to hustle to their seats! Doesn't everyone struggle with how to manage this one? Currently, this routine is working, but I confess I am pretty surprised at how well. There is simply NO pencil sharpening in my classroom. Yep, you read that right. All pencils are sharpened at the very end of the day either by my classroom pencil sharpener or by me if we are short on time. I believe this is working so well primarily because of my pencil numbering system. 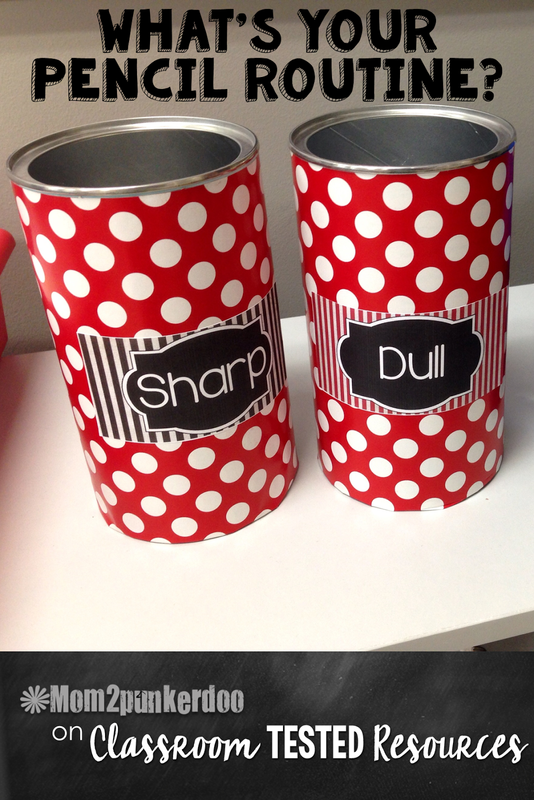 I keep a dull can, a sharp can, and an emergency can in the classroom. Students are responsible for leaving their dull pencils in the can as needed, and they can retrieve them each morning nice and sharp. I only implemented the emergency can recently. In it are short pencils my students have donated to the class when they get their two new numbered pencils every month or so. Much like my morning routine, my end of the day routine looks exactly the same each day. When given the direction my students know to get their binders, copy the board and write a reflection for their day. At the beginning of the year I walk around the room and monitor and check to make sure they are using their student planner correctly and writing quality reflections. Eventually, this is no longer necessary. Additionally, my students know that upon completion they should, put their binder in their backpack, dull pencils in the dull can, and start helping to clean up any parts of the room that need tidying until I say it is time to line up. This is especially challenging in my current classroom as it's much smaller than any I have had before. That said, I still try establish spots around the room so students know where to find and put things. 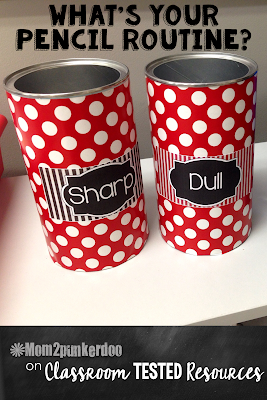 We have a "Finished Work" tub, reading journal tubs, student mailboxes, unit folders. listening center box, containers for all math manipulatives, extra paper trays, etc. You get the idea. Students quickly learn to put things in their proper locations. Once the students have learned how we keep an organize things I can rely on them to help keep things organized....for the most part! 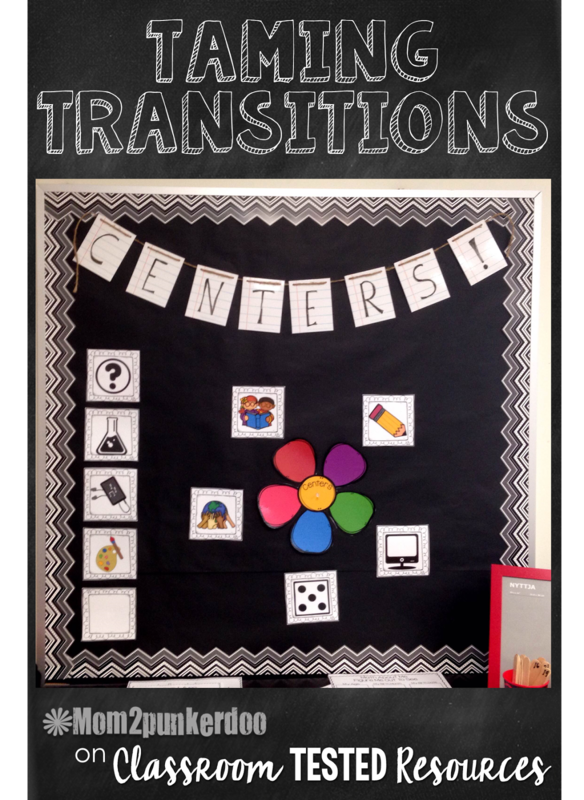 Transitions can be a major time waster! Even with my set routine I find that depending on the day I still lose more time than I would like every now and then. 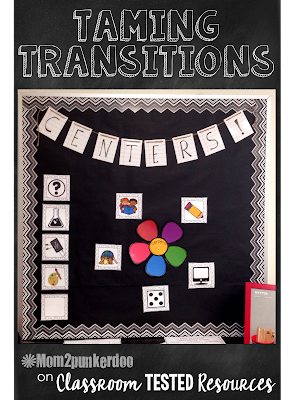 Our routine for transitions look like this: a few minutes before we need to start making the transition I will give the class a heads up that we have a 1-2 minutes remaining. When it's time to transition if we need to move or put things away I will ask the students please stand quietly behind their chairs. I let them know I am looking for the table that is ready to switch and I individually compliment students who look ready. This is a good time to use whatever class reward system you have. I give table points and tickets, especially when I am training this routine. This all happens very quickly. Students know that we are going to switch quickly and they need to be ready. In my room we have a VIP table and if they are ready I will dismiss them first to make the transition. Sometimes we all transition at the same time, and at those times I will provide a countdown so that students know how much time they have to accomplish the switch. I can speed up or slow down the countdown as needed, but when I say "BLAST-OFF!" the students know they are expected to be quiet and ready to move on to whatever is next. I could go on and on about routines and classroom management, but I will save my ideas for another time. 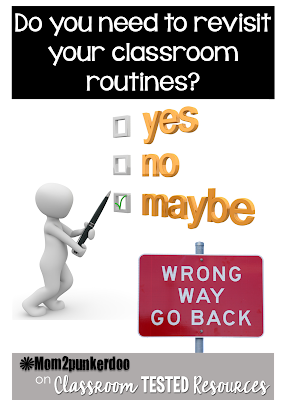 I feel pretty passionately about the importance of setting up routines in order for classrooms to run smoothly. I have seen so many great teachers with tons of unique and brilliant ideas. I would love to hear what routines you have that you just love so please share in the comments!